YOU are the future of Advent! We are the Body of Christ together, and each of us has a valuable perspective to share. We need everyone's voices, input, and experiences to collectively create a mission and vision that reflects our whole community, and empowers us to thrive together. Please participate in Round 1 with our Listening Small Groups by signing up for one of the sessions below. At the session, you'll have a 90-minute conversation with 2 to 3 Advent members, facilitated by a Vision Team member. In Round 1, we will talk about faith journeys, community, and belonging. Don't be surprised if your conversation is as surprising, inspiring, and faith-building as it is vital to our mission. Please join us! 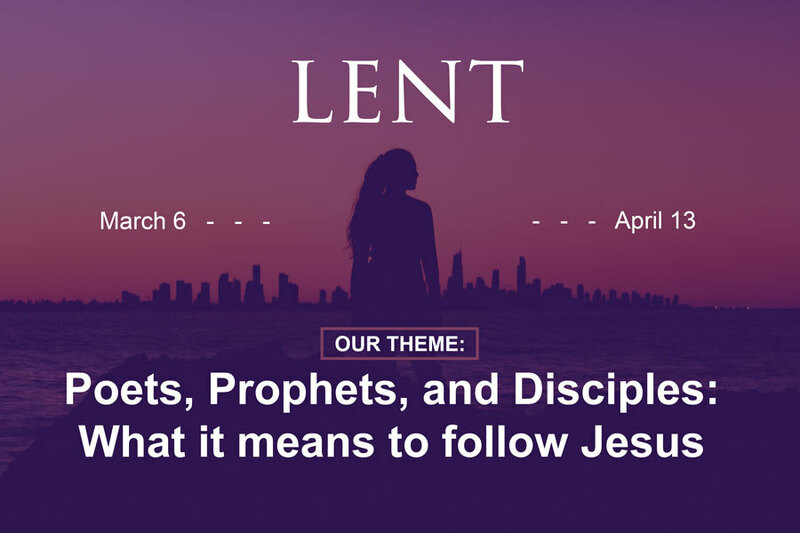 +Discipleship Groups: We have over 50 people exploring what it means for them to be a disciple of Jesus in our 6 weekly Discipleship Groups this Lent. Get to know other young adult professionals in our congregation this Sunday at brunch following 11am worship. All are welcome! We will gather at the back of the sanctuary after 11am worship and head to Pio Pio nearby for a delicious Peruvian brunch! Gather for a weekend of spring cleaning and light repairs at Advent. There will be something for everyone - organizing, cleaning, de-cluttering, painting, fixing, and more! Please help us keep our space beautiful, functional, and organized by volunteering for a few hours. + Adult Faith Formation | Meets at 10:10am in the Community Hall downstairs. Our Sunday Adult Faith Formation series during Lent explores racism and the Church, leading to an introduction of our partnership with the Emmaus Collective. On the 3rd Sunday in Lent, join us for a viewing and discussion of the documentary video, “Young, Black, and Gifted" and explore the ELCA African American Descent Strategy.